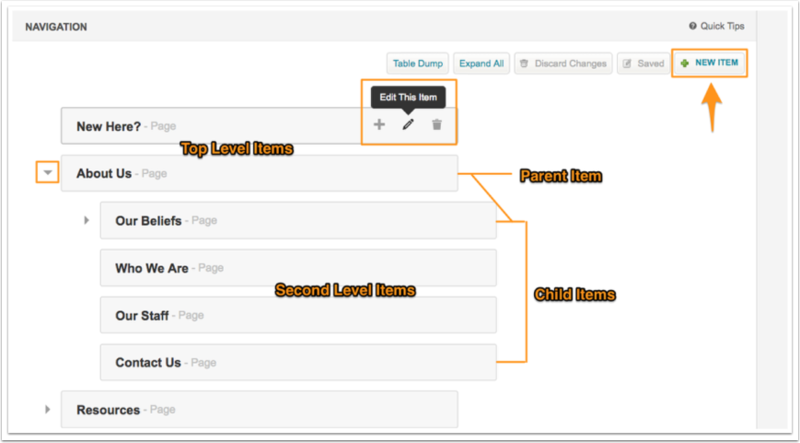 Use the left arrows to expand the navigation list to see child items under parent items. Hover over an individual item to see 3 Tools: Plus to add a new item, Pencil to edit the item, Trash to remove the item. 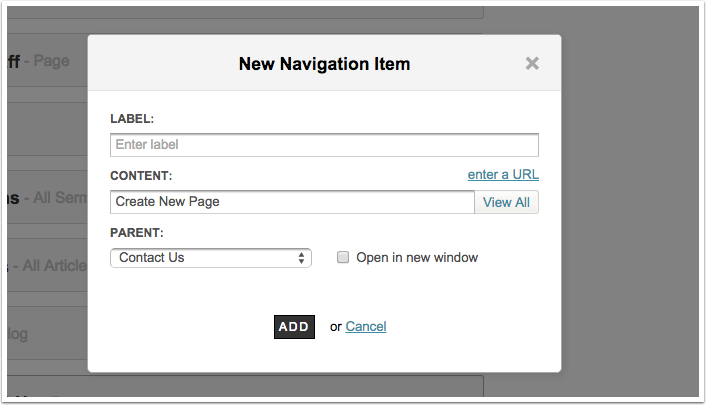 You can reorder the navigation items by clicking on an item and dragging it to a new position up or down. The Editor Window makes creating and editing navigation items a breeze. LABEL: The label is the text that is shown for your link. CONTENT: Choose content from your site to link to - current pages, sermons, articles, blogs or events. PARENT: If you choose a parent for your link then the link will be nested under the parent. In the example below, the link will appear under Contact Us as a child item. OPEN IN NEW WINDOW: Opens the link in a new browser window or tab depending on your visitor's settings.